Where To Find The Password For Davids Laptop? I have found a few of the possible passwords, but it looks like there are more that i need to find before being able to enter the password into the laptop. Where can i find the password for his laptop? 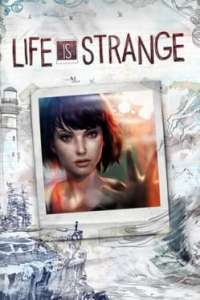 In chapter 3 of Life Is Strange you will need to gain access to davids laptop. This is one of your typical video game puzzles where you need to find all of the clues (even the wrong ones) before being able to guess. You need to find all 9 passwords hidden around the garage in order to proceed. You will likely get stuck and need to find the last password. The passwords are all in obvious locations, but what will likely catch you out and leave you with 8 out of 9 passwords is the fact that some locations have 2 potential passwords hidden them. For example the sun visor in the car. I didn’t know there was 2 pages and spent way too long trying to find the 9th password thinking I had already checked the sun visor. Here are the locations that you will find password. Drawer next to laptop – Gets stepdad password. Drawers next to gun cabinet – there is a password in each drawer. Car sun visor – 2 passwords are here, check both pages. Cassette tape – this is on the corner shelf on your right when walking toward the car. There is a date on this. Backpack by garage door – out near the car you will find a backpack between the large garage door and a door into the house. Hopefully you now have all the passwords. You can rewind time one you get locked out of the laptop for failed password entry attempts. There is a known bug that prevents you from rewinding. If this happens you need to restart from the last checkpoint.